Great app. Although it’d be nice to get with the times and support Apple Pay. Layout is well done and I have access to most things. Touch ID doesn’t work correctly.... I set it up and it works for only one login in after that I have to use a password again. I check to set if it’s setup and I have to go though the steps again to enable. But it never allows access though Touch ID more than once. I gave up on that part of the app! Please also get this app set up with app pay so I can have the option to tab with my phone. Overall with the exception of the Touch ID I am happy with the app everything else I suggest would be more of a wish list. I love the Pace App due to its friendly-user interface, clean and clear design and ease of use. It has almost all banking features needed. 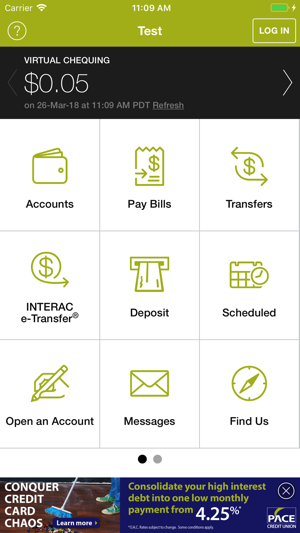 I would love it even more (same applies for the online banking) if it had the option to auto populate and print/email/save a voide cheque and pre authorized debit/credit forms. 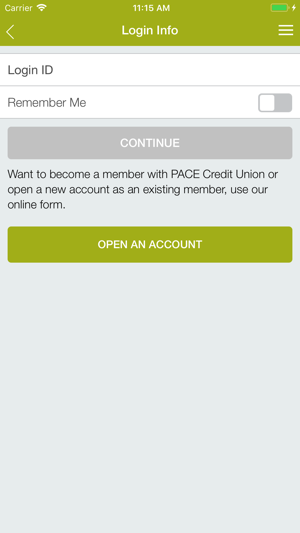 PACE Savings & Credit Union LTD.